The Firefly Resort is the ideal vacation destination! Warmth, comfort, and quaint private cottages await you near the sandy beaches of Lake Michigan. Located in the heart of Harbor Country, our southwest Michigan rentals offer unique spacious decorator appeal. Each individual in design and style, you’ll find the cottages in the Firefly Resort to be ready for your Michigan vacation. For a weekend or a week, you’ll find the Firefly Resort is better than other southwest Michigan rentals. Why? 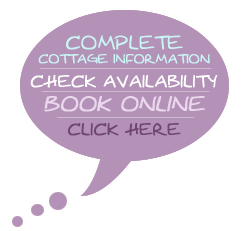 Our charming cottages are spacious and stylish; we offer private beach access; and we’re right in the center of all the wineries, restaurants, and shopping venues of Harbor Country – and without the feel of a hotel or other bare-bones southwest Michigan rentals. Have a question about the Firefly Resort? Want to know about what we offer and how we compare to other southwest Michigan rentals? Call or e-mail us today!